Little Miss Ciara came to us from Nonesuch Farm in the summer of 2013 when she was just six months old. She was a tad shy when we first brought her home, but that sure didn’t last long! She is one of the sweetest girls we’ve ever met! She is also the smallest animal on the farm right now, even though she is NOT a chondro carrier. She is bred to our small yearling bull, Bruce, for a winter 2014/2015 calf…isn’t her little white udder just the cutest?? We haven’t started her Dairy Girl training yet, but I have no doubt that she will be a doll in the stanchion! 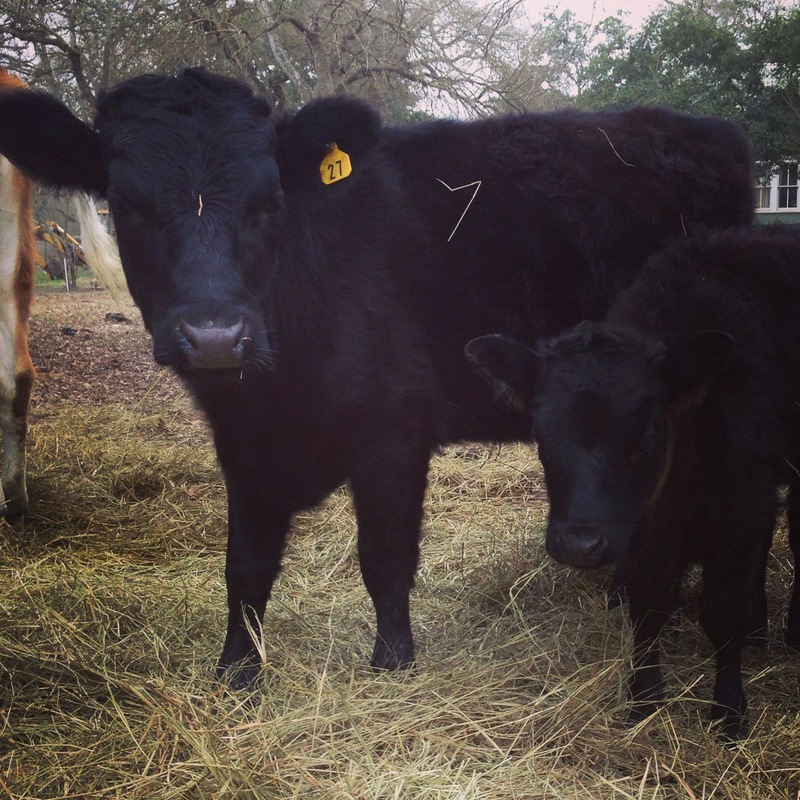 Ciara has given us a handsome little bull calf and she has become quite the little milk cow!! Things were busy, and just downright cold right after Ciara calved the day after Christmas and I just couldn’t get myself up to the barn to work with her. Days turned into two months and I still hadn’t worked with her. 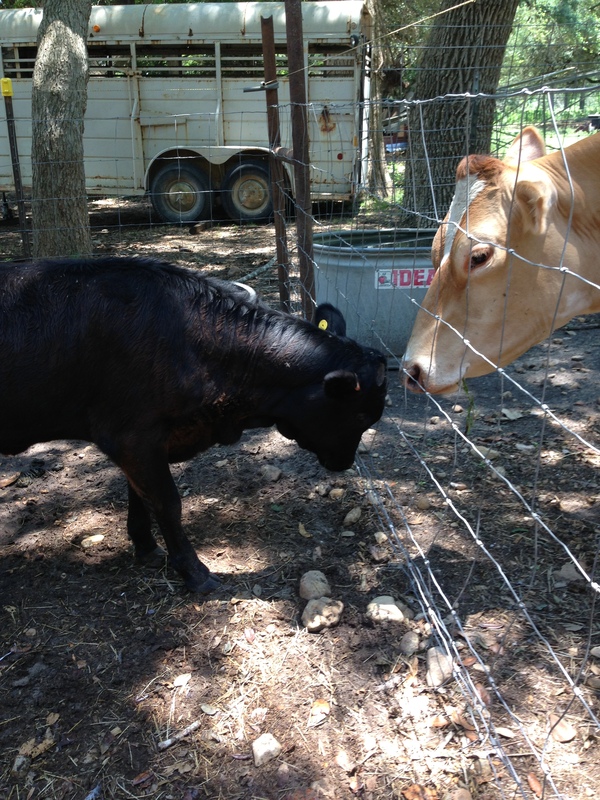 One day while milking our big Ellie girl, Ciara fought her way into the stanchion. She let me milk her and didn’t even flick her tail at me!!??!! A few days later I squeezed my milker under her, and she gave me 3/4 gallon!! 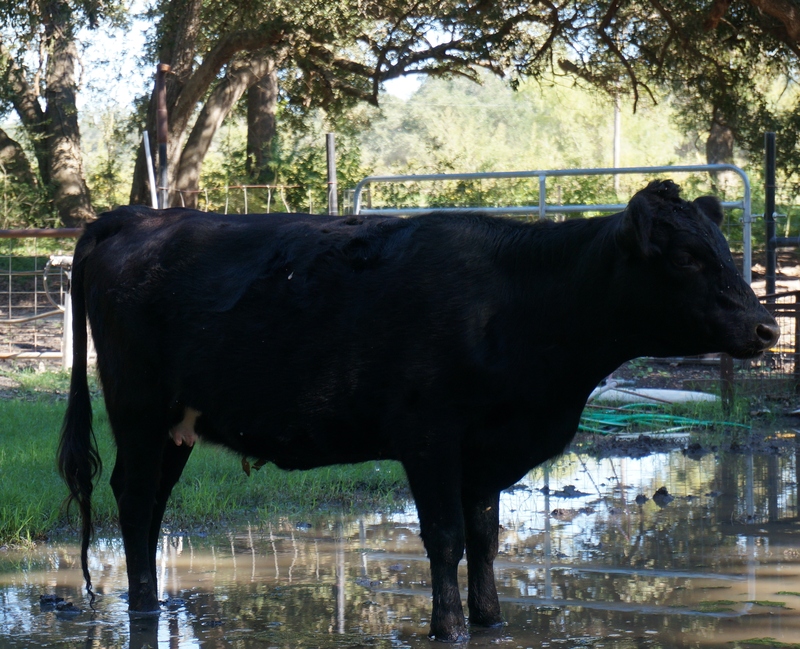 She has since consistently given 1/2 gallon to 1+ gallons per day depending on how long she has been separated from her calf on once-a-day milking…y’all, she is a FIRST CALF HEIFER producing that much! Did I mention she calved on her own in between overnight check-ins?? This little cow is such a blessing to us!! 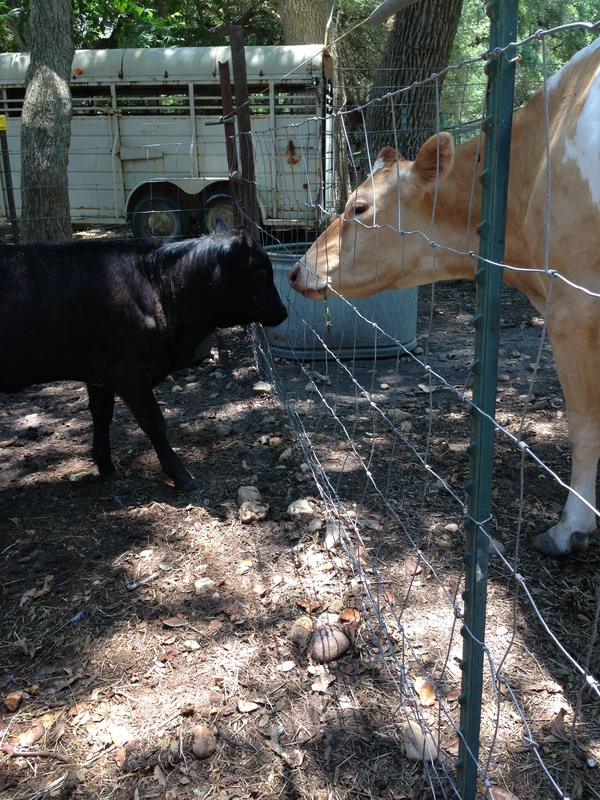 Her little bull calf, Finn, is small, yet beefy and wide. He also has a nice level topline. He has milking genetics on both sides as both his parents come from milking herds. We believe he would make a fine herd sire for folks wanting to raise up a family milk cow. Finn is black & horned and may carry both red and dun. We will be testing for color & A2 status.